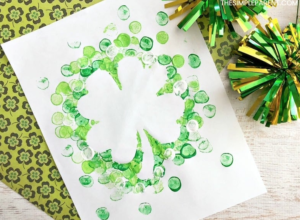 St Patrick’s day is almost here and We wanted to share five fun craft ideas for you and your little ones to create this holiday. These crafts will both keep the kids busy during these last cold months where we have to stay inside instead of playing outside. 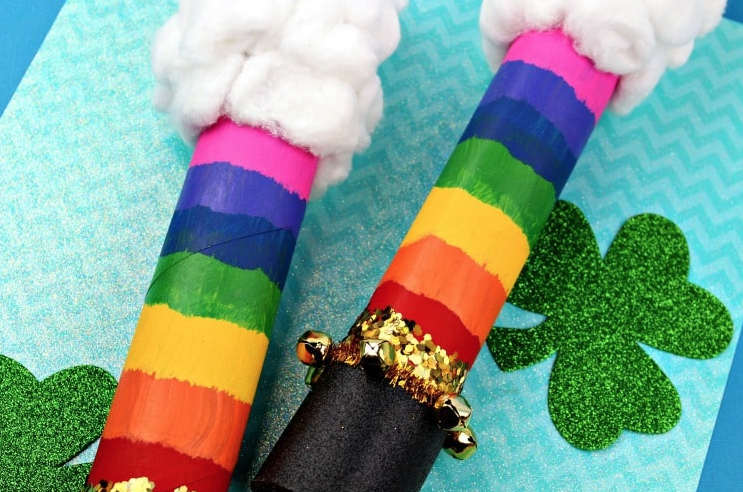 Here are the five St. Patrick’s day crafts that we think you and your kids will have a blast making together. 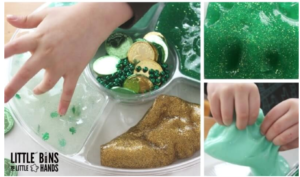 1.This fun St Patty’s day project will make your kids so excited! This rainbow shaker wand is so fun to make and play with. We love crafts that have two uses. This craft can be a magical leprechaun wand and also a rainbow shaker that helps make music. The kids will have so much fun making this craft with you. 2. This craft we found is so great! 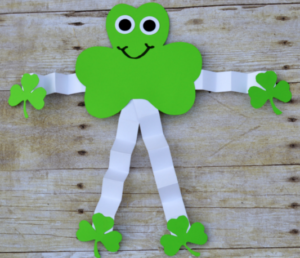 This shamrock man is so cute and an easy craft to make with your little ones. We love how his arms are an accordion style paper which kids love making this craft with you. It’s great how inexpensive this craft is, most of the supplies we already have at home so it makes a inexpensive and fun project to make. 3. 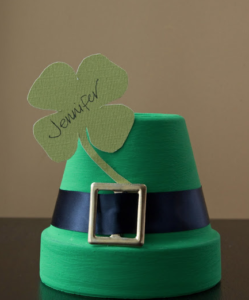 We love this leprechaun hat made out of some simple items like a flower pot you can find at your local store and green paint which you may already have. The kids will love painting this with you and after it makes such a cute decor item for you home. Each St. Patricks day you can remember you and your little one made it. You can even add their little fingerprints or handprints to make it even more of a special memento. 4. This next craft is super fun for the little ones and you to make together. This craft is a great way for your kids to practice their fine motor skills while also being creative and having fun!I love that this craft is so easy to make but is also so fun to do. Afterward, We put our kids beautiful artwork to be displayed during the St. Patrick’s day season. 5. Slime projects are huge in my house right now. We’ve made rainbow slime, star slime, valentines day slime, and now shamrock st patty’s day slime is on our list! My kids love making slime and I love that it teaches them science while having fun.